Most recently, he received a Broadway Beacon Award for his role as the King of Siam in Lincoln Center’s Tony Award-winning production of “The King and I,” as well as the Theater Legacy Award from New York’s Pan Asian Repertory Theater. Outside of his artistic endeavors, he actively pursues interests in the community at large, having most recently served as Cultural Envoy and Member of the U.S. Presidential Delegation for the United States at the World Expo in Korea. Born in Busan, South Korea, and raised in New York and Pennsylvania, Kim discovered acting while a student at Haverford College. After graduation, he moved to New York City, where he began his career on stage, performing in classics such as “Romeo and Juliet,” “Ivanov,” and “A Doll’s House.” Despite early success, he decided to deepen his knowledge of the craft by enrolling at New York University’s Graduate Acting Program, where he earned his Master’s Degree. 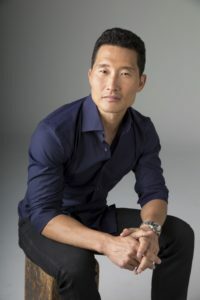 In addition to his onscreen career, Kim spearheads his production company 3AD, established in 2014 by Daniel Dae Kim to produce premier content for TV, film and digital media – in development partnership with ITV Studios America. Committed to storytelling that integrates characters and cultures underrepresented in today’s media, 3AD produced projects include this season’s acclaimed new series The Good Doctor (ABC).